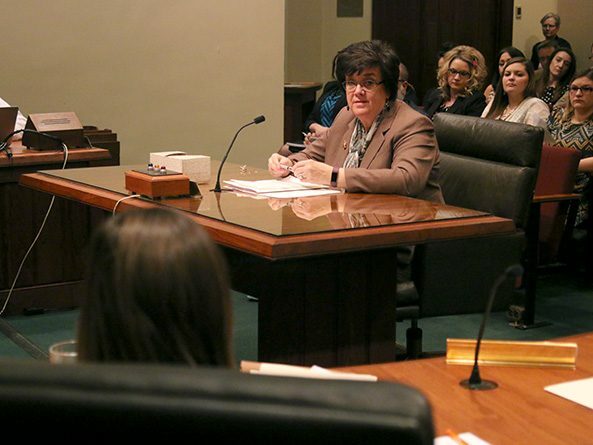 A bill that would provide information regarding perinatal hospice to a woman diagnosed with a lethal fetal anomaly was heard Feb. 10 by the Health and Human Services Committee. Albrecht said the bill was personal because her daughter’s first child was diagnosed with a lethal medical condition at 18 weeks’ gestation. Many parents faced with a similar diagnosis feel adrift, she said, with little understanding of their options. Being provided with resources for emotional and spiritual support would help families dramatically, she said. Kelly Gerken of Sufficient Grace Ministries for Women in Ohio supported the bill. Having lost three children to lethal fetal anomalies, she testified that parents often are in shock and need help finding resources. In addition, she said, many obstetricians are unaware of the existence of perinatal hospice. Shawna Hoffman, cofounder of HEALing Embrace in Omaha and the mother of a son who died in childbirth, also testified in support. Even if a child is not born alive, she said, families can prepare to bathe their child, introduce them to extended family and engage in other bonding activities. 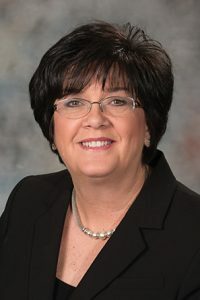 Kim Robak, representing the Nebraska Medical Association, said the organization had opposed the bill as introduced due to the mandate on physicians to offer a patient the information made available by DHHS. However, she said, the organization supported the bill with an agreement to remove the mandate. “Palliative care is an important process and the fact that we can expand that across the state is a good thing for all involved,” Robak said. Albrecht said she would bring an amendment to make the bill permissive and clarify that no provider would be required to offer the information. No one testified in opposition to LB506 and the committee took no immediate action on it.